A senior official of China's Weiqi Association (CWA) said on Sunday that it's lucky for both AlphaGo and Weiqi when they met, which brought the best in each other. Riding over human player demonstrates the AlphaGo, or the Artificial Intelligent (AI), has upgraded the capability to a new level, Xinhua quoted Hua Yigang, deputy chairman of CWA, as saying. Meanwhile, AlphaGo helps human players explore new ways of gaming. Hua visited Houston for an event of amateur Weiqi (or Go) tournament, which lasted two days during 12 - 13 August, attracting more than 20 players with ages ranging from seven to 74. AlphaGo is a narrow AI computer program that plays the board game Go. It was developed by Alphabet Inc.'s Google DeepMind in London in October 2015. It became the first computerised Go program to beat a human professional Go player without handicaps on a full-sized 19x19 board. In March 2016, it beat Lee Sedol in a five-game match, the first time a computer Go program has beaten a 9-dan professional without handicaps. In the 2017 Future of Go Summit which was held in China, AlphaGo beat Ke Jie, the world No.1 ranked player at the time, in a three-game match. 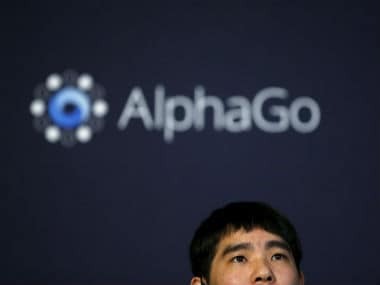 Hua said he is glad that Weiqi is getting popular in the US as well as in the European countries, especially in the wake of the very first appearance of the AlphaGo. He believes the Internet and the computer programmes would be useful platform and tool and players across the world can take advantage of them to improve their ability.